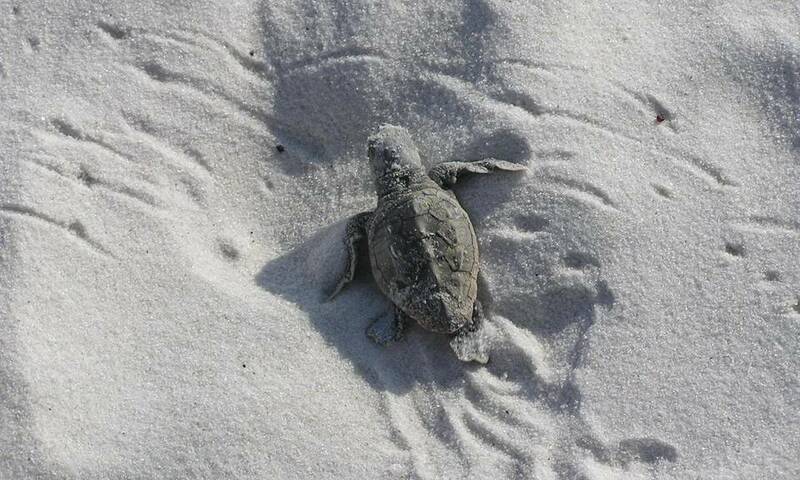 The loggerhead is the most common sea turtle that nests on Panama City Beach. It is a threatened species which means its population is declining and could become extinct without protection. A full-grown loggerhead is about 3 feet long and weighs between 200 and 350 pounds. The females come ashore at night to bury about 100 leathery-skinned eggs, each the size of a ping-pong ball, requiring about 2 months to hatch. The nesting season officially runs from May 1 through October 31. The map shows loggerhead nest locations on Panama City Beach for the 26-year period from 1991 to 2016 (each column of symbols represents nests laid on 0.5-mile section). 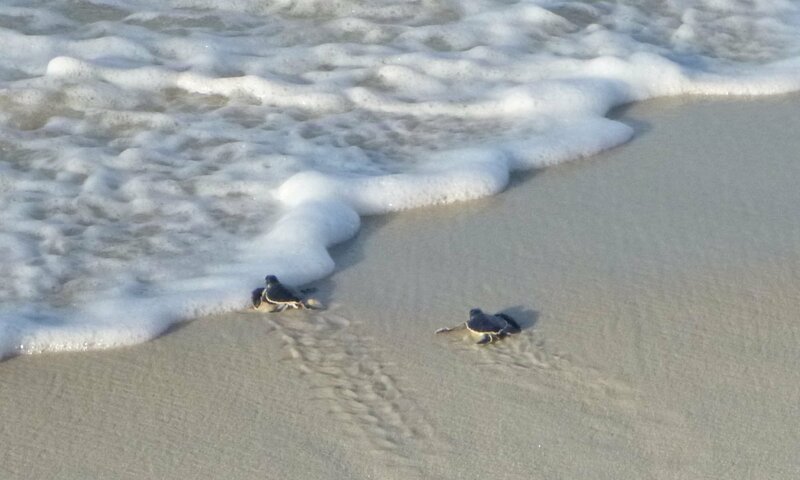 Nesting occurs throughout our survey area, covering about 18 miles of Gulf beach from the boundary of St. Andrews State Park to Camp Helen State Park, with highest densities on the east and west ends of our survey area. The chart shows annual sea turtle nesting on Panama City Beach from 1991 to 2016. Loggerhead nesting has increased in recent years but does not show a clear trend for the 26-year period. A threatened green turtle nested here in 2002, and three more green nests were found in 2013. Two endangered leatherback nests were found in 2012, and four more were found in 2015. The chart shows the temporal distribution of loggerhead nesting and hatching on Panama City Beach for the 26-year period from 1991 to 2016. Nesting occurs from May through August with peak nesting in mid-June. The nests hatch from July to October with peak hatching in late August and early September.